In 2011 the Herring Festival in the town of Jamesville was designated the Official Herring Festival of the State of North Carolina (Session Laws, 2011-59). 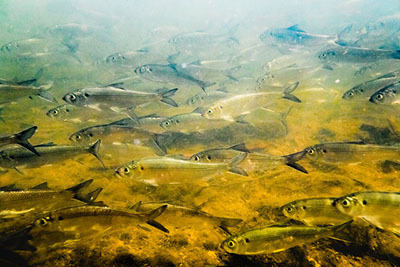 The Jamesville Herring Festival, now called the North Carolina Herring Festival at Jamesville, is a three-day event held annually on Easter Weekend in Jamesville, North Carolina. It began in 1949 as a way for the herring fisheries to celebrate the fish’s springtime spawning runs. The festival begins on Friday evening with a street carnival and live band. Saturday includes the pancake breakfast, 5K Herring Run, Parade, Easter Egg Hunt, Street Dance, and town Fireworks. The festival concludes on Sunday morning with the Easter Sunrise ceremony. AN ACT ADOPTING THE HERRING FESTIVAL HELD IN THE TOWN OF JAMESVILLE AS THE OFFICIAL HERRING FESTIVAL OF THE STATE OF NORTH CAROLINA. SECTION 1. Chapter 145 of the General Statutes is amended by adding a new section to read: "§ 145-34. State herring festival. The Herring Festival held in the Town of Jamesville is adopted as the official herring festival of the State of North Carolina." SECTION 2. This act is effective when it becomes law. In the General Assembly read three times and ratified this the 21st day of April, 2011. Cecelski, David. "Jamesville Herring Festival." NC Folklife Institute. 2011. Accessed July 19, 2017. https://www.ncfolk.org/2011/jamesville-herring-festival/. I hope to attend the NC Herring Festival this year and add the visit to Martin County to my blog! I hope this year's festival is a great success! Thank you for including NC Herring Festival on your site. We have a problem. The supporting and hosting company for our website has become embroiled in legal complications that have rendered our URL unusable. It is a mess and we are diligently trying to resolve it. For the time being we have elected a work around and registered a new URL – ncherringfestival.net and have begun hosting our website to that address. If you would be so kind to correct this address change in your article, we would be most grateful. Thank you for your attention to this matter. Thank you so much for connecting with us to let us know! The link has been updated.